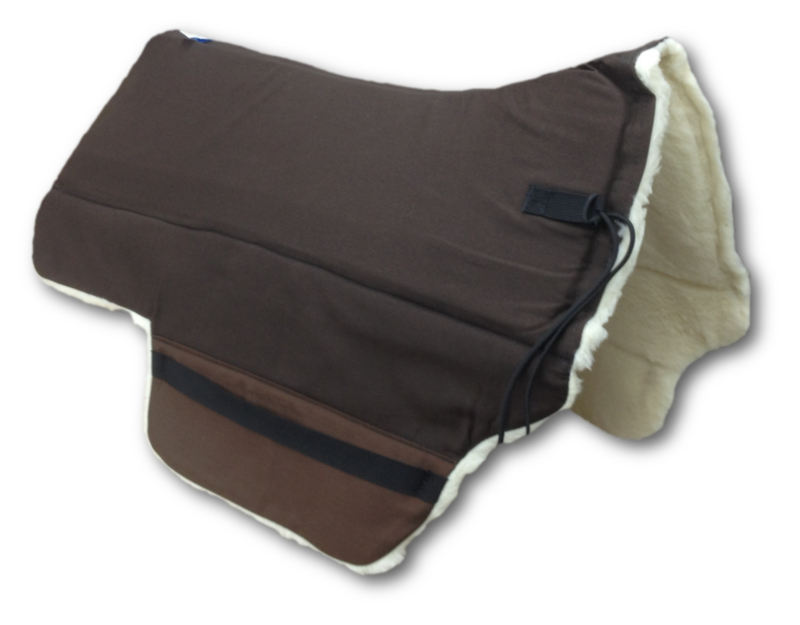 This pad is designed for the Bob Marshall Sports Saddle or similar saddles. Very popular for use under traditional saddles, treeless saddles and flex-panel saddles. The cover is machine washable. The bottom is 100% wool fleece. Beveled 3/4" Equalizer foam is inserted into a pocket and covers the entire length of the pad. We take orders for CUSTOM Skito pads. Currently, Skito only manufactures pads with 100% wool bottoms. They are all available in a multitude of colors and patterns and fabrics. It usually takes 4-6 weeks to have a custom pad made for you. Please call us for a custom pad.